"Golf has taught me many lifelong skills such as patience and the will to never give up"
Kamryn: I am 16 and golf is my one and only sport. What has golf taught you that you think you'll use later in life? Kaylee: Golf has taught me many lifelong skills such as patience and the will to never give up. These characteristics will greatly affect how and what I do in the future. Kamryn: Golf has taught me a great deal of patience and hard work. Like most sports, you have to work extremely hard to achieve success, and with golf I have learned that having one good round definitely does not guarantee consistency, and it is one of the most difficult aspects of the sport to master. 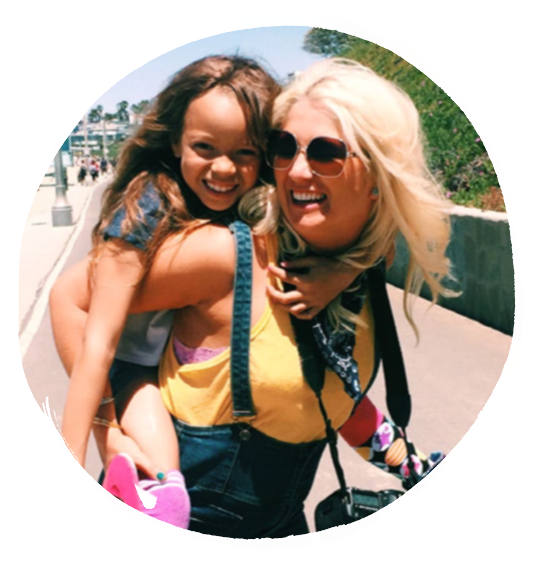 What it has taught me is that nothing is easy or a for-sure thing, and you have to work for every piece of success, and in the end, it makes the accomplishment all the more worth it. Kaylee: Focus, determination, and confidence. How do you feel when you accomplish something you never have before while golfing? Kaylee: Whenever I achieve something in golf, such as shooting a new best round, winning a tournament, or even something small like making a couple birdies, all give me a great boost of confidence in myself, knowing that I can perform and play my best game, while also loving the game. Kamryn: The feeling isn’t one you can put into words. I was able to win the state championship title for Oregon’s 1A/2A/3A/4A divisions this past May, and I can honestly say that I was shock for at least a week. Finally having all of my hard work and perseverance come together to create success is one of the best feelings I’ve ever experienced. Kaylee: My role models are definitely my family members. 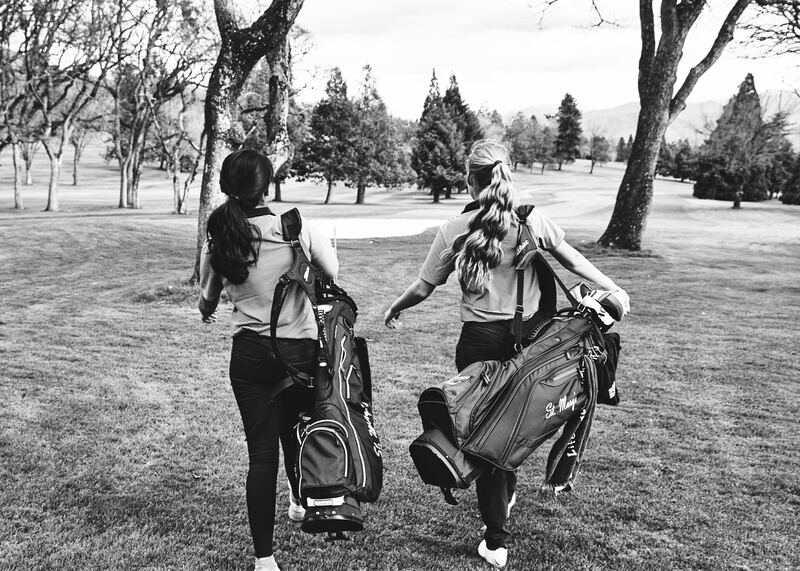 My dad is my coach, and I have three older brothers who have gone off and played collegiate golf, so they have definitely played a huge role in my golf game. Without them, I don't know if I would've even played golf to begin with, or would've been able experience the joy that I feel with playing it. Having my entire family coach me and always practice with me, is probably the most important thing for my golf game. Kamryn: My parents are definitely my role models. They have been my rock throughout my entire golf career and have taught me so much. I am still not set on a specific major but I hope to find my real passion in the coming year. Kaylee: The advice I would give to my 5-year-old self, is to participate and get into golf, because I did not start playing until I was about 10 years old. Kamryn: Life is tough. It throws you some curve balls every now and then. Don’t let them deter you from what you want. People are going to want to bring you down because of how driven you are; they are going to do anything to see you fall because they doubt themselves. Don’t let them. Believe in yourself, your values, and your heart, and doors will open for you. Kaylee: The qualities you must have in golf are, patience, focus, and determination. Without these, you could not play 18 holes successfully for 5 hours without wanting to die. Even though a lot of people disregard golf as a boring old man sport, or not even a sport at all, everyone should at least try it, before creating an option, because it is a really great game and teaches you many useful skills. What is your greatest memory from playing golf? Your favorite day on the course? 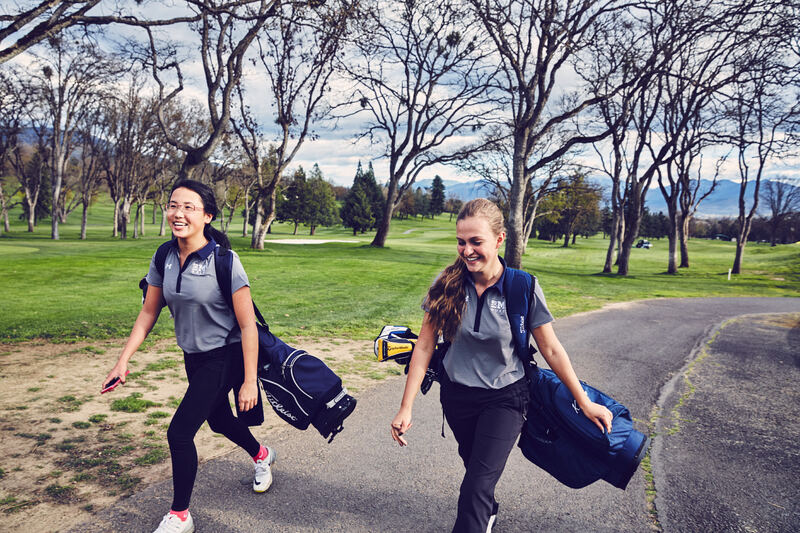 Kaylee: My greatest memories with playing golf always contain playing with my family or teammates, because when I play with them, I'm truly having a great time out on the course. Kamryn: My favorite memory from golf was on my last day at the state tournament. Going in I knew that everything I had worked for and achieved could be won or lost on that day. As the round ensued I did my best to not think about my score, and just focus on the shot in front of me. Even when I reached 18, and saw my team and my parents watching me finish, I kept a serene calm. The best moment was when I made my final putt and walked off. I finally, for a brief moment, allowed myself to smile as I made eye contact with my mom across the way. That moment is one that I will absolutely never forget. 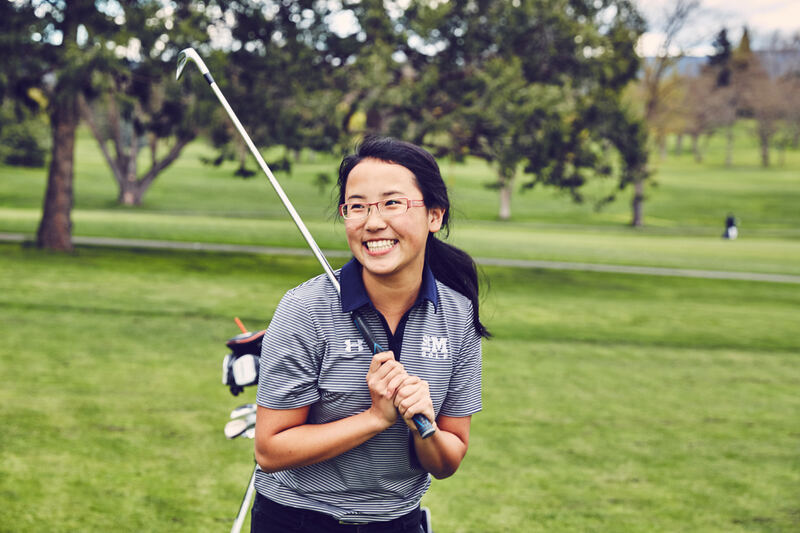 Kaylee: My goals for my golf career, are to play to my fullest potential, and to always feel after a round, that I gave it my all, and even though I might not perform every time, I can learn, and continue to grow as a golfer and a person. Kamryn: This summer I hope to continue what I finished highs school with, and that doesn’t mean to win everything. I want to be able to find that mental state of calm and be able to compete with my best self, and also to have fun during every moment. Kamryn: In the beginning of May I won the District title, and then later that month I won the Individual State Championship title for 1A/2A/3A/4A Divisions for Oregon.